As a CACI-WGI (The Wexford Group International) Operations Integrator, you will provide embedded and reach back support directly to deployed units and commands, developing processes that enhance warfighter situational understanding of threat networks employing or facilitating improvised threats (such as IEDs) and enabling DOD, IA and IC efforts focused on dismantling, disrupting, and defeating those networks. You will interact directly with the warfighter during the development of intelligence products while coordinating the support packages provided to meet unit and subordinate element operational requirements. You will assist in fusing the operational and intelligence information available to the supported unit while providing an operational perspective to the products, which include target and network analysis packages. As required, you will plan, develop, and deliver tailored operations-intelligence fusion training to supported intelligence consumers and partners. While deployed, you will embed with warfighters and partners to provide operations advice to commanders and staff on all activities regarding planning and synchronization of C-IED support to deployed tactical elements. You will remain relevant and valuable to the supported command through coordination of warfighter requests for C-IED support with other deployed assets and enabling elements. Most deployments are 120-180 days in length. While providing reach back support, you will directly support embedded teammates; manage requests for support from other tactical units; and work closely with a wide variety of units, institutions, and partners. You will assist with warfighter pre-deployment training/preparation, conduct professional development within the Wexford Joint Analytical Support Team, and mentor new members of the team to ensure they are ready to deploy and succeed. More than three years of experience working with the military planning cycle and tactical ground operations. More than one year of deployed experience to the CENTCOM AOR. Bachelors degree and three years of experience, or associates degree and seven years of experience, or nine years of relevant work experience. More than five years of experience at tactical formations, battalion level or equivalent and higher. More than three years of experience leveraging military planning principles in support of battalion level or equivalent and higher staff. Must be able to work independently with some government oversight and function effectively as part of a team in a joint working environment. CACI-WGI is a wholly-owned subsidiary of CACI with a reputation for uncompromising standards of quality in its people and its performance. 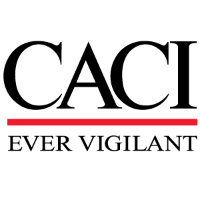 Joining the CACI-WGI team is a mark of excellence for those employees who complete our rigorous Recruiting, Assessment, and Selection (RAS) process.